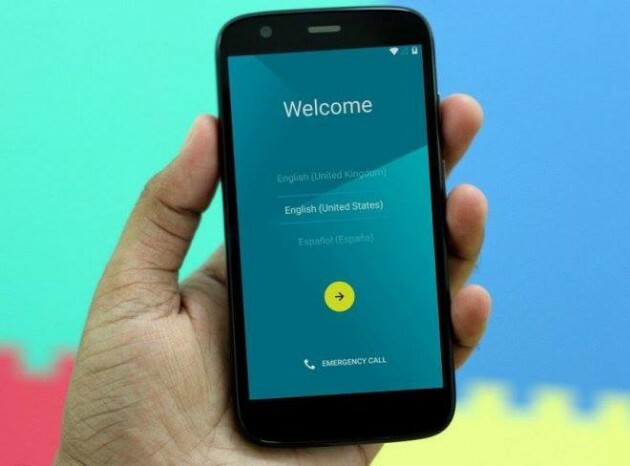 Android 5.0 Lollipop Update for Moto G devices started rolling out for the 1st generation and the 2nd generation phones, respectively in India and US. Android 5.0 Lollipop update will be available over-the-air (OTA) so you will automatically get a notification on your Moto G phone about the update, If you have not yet received the lollipop updates for your devices then you can also manually look for the update by going to Settings > About Phone > Software update. 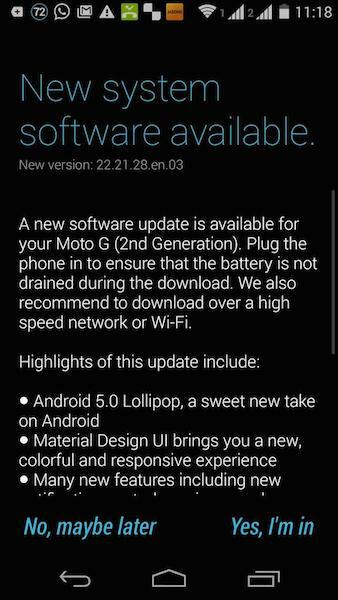 Motorola has said that android 5.0 lollipop update for Moto G devices would be rolled out in phases, so it is possible that you may not see the software update immediately. That’s it, your Moto G device will now have the Android Lollipop OS. As per official source, Android 5.0 lollipop update will be soon available in the coming weeks for the Moto E and Moto X (2013) devices.